The Applianceman Service provides excellent repair for Electrolux, one of sixteen different leading home appliance brands. Electrolux style follows a simple design with sleek features all the while emphasizing its unique, clean aesthetic. 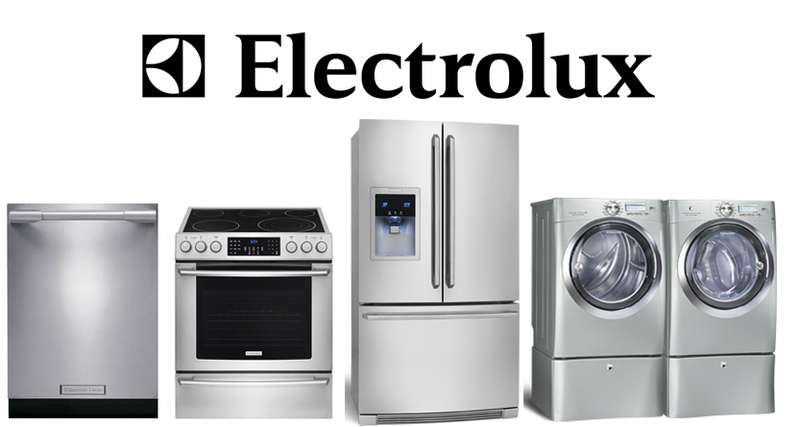 Electrolux has been in the appliance sales business for over ninety years. As a Swedish company with positive guarantees for nearly a century, its products should be maintained and serviced properly. The Applianceman Service specializes in repairs so your products are well maintained. Our technicians will show up to your home to repair your appliance with several goals in mind including customer satisfaction, diagnostic repair, friendly and casual customer interactions, and getting the job done on the first house call. Electrolux’s European flair adds a special niche to your kitchen or laundry room. The Applianceman Service repair team can help accentuate this niche. Many appliance problems can be turned around easily through great communication, proper technical skill and knowledge of various home appliances. Your Electrolux appliances will not suffer from ongoing issues with The Applianceman Service as we carefully and constantly train our technicians to work on various appliances to keep them performing at optimum. The Applianceman Service is of Westerville, Ohio is ready and willing to take a look at your Electrolux product. We provide appliance service throughout all of Columbus, Ohio and the surrounding suburbs.